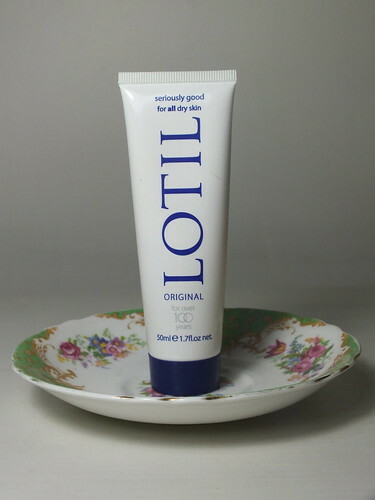 I was most intrigued when given the opportunity to try multi-purpose cream Lotil Original* as it was a brand I'd never heard of but with it's claims of working for many ailments such as dry skin, shaving rashes and even recommended for eczema and psoriasis sufferers it sounded like it was worth trying. I first used this to tackle some small psoriasis patches I have on my elbows. I'm lucky that this patches are small but they do need some additional attention beyond my usual everyday moisturisers so I put Lotil Original to work. The first thing I must mention about this product is the smell which reminds me of marzipan which I know is a bit of a love it or hate scent for many, for me I enjoy it. The cream itself is of a thick yet smooth texture which applies easily to the skin. Lotil Original absorbs into the skin quickly and the area immediately felt moisturised and rehydrated. After a day or two of use I found my dry patches on the elbows were significantly clearer than before. Encouraged by this initial testing I have also used Lotil on a dry patch of skin on one of my legs from where I sit with them crossed at work (does anyone else get this is or is it just me?) and between my toes which I can find get particularly dry. I've expanded my test to a recent burn from a curling tong and using as a hand cream the latter of which was the least successful only due to it leaving the skin a little tacky initial although this does disappear quickly. 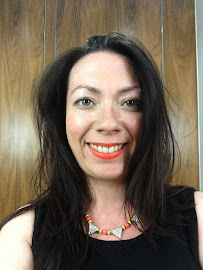 Naturally if you have any severe dry skin complaints I would take the necessary precautions when testing a new product but there are many positive reviews from people with chapped hands and the like that have had similar positive results from Lotil. Overall this is a great product to have in your beauty kit, particularly at this cold time of year and would be ideal for travelling due to it's multi-purpose use all at the great price of £3.59 for a 50ml tube available from Boots here as well as many pharmacies. Is this a cream you're familiar with? This might be useful for my daughter who has recently started to suffer from eczema. Thanks for sharing.